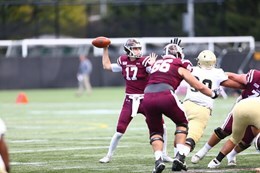 Time ran out on Fordham Football on Saturday, as the team dropped a 17-13 heartbreaker to Holy Cross for its ninth loss this season. The Rams were trying to rebound after last week’s 41-0 drubbing at the hands of nationally-ranked Colgate. With two games left in one of the most disappointing seasons in program history, the Rams had little to lose with their Patriot League chances out the window after last week. Saturday’s first two drives ended in punts, as winds of over 20 m.p.h and frigid temperatures affected both offenses. 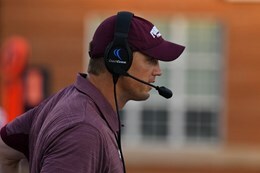 After losing the coin toss, Fordham head coach Joe Conlin, in an exceptionally savvy move, decided to play in the face of the wind to start the game so the team could have the wind at his back in the fourth quarter. 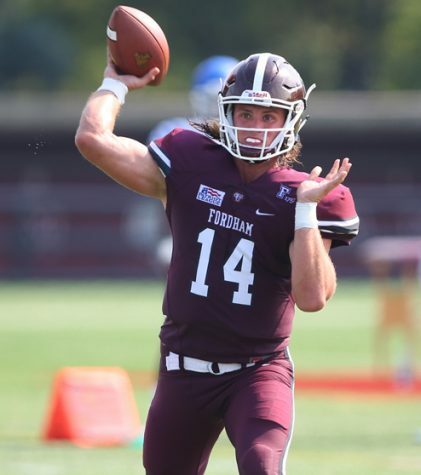 Fordham’s second drive went far better than its first, as freshman quarterback Tim DeMorat hit wide-open tight end Isaiah Searight up the seam for 58 yards and the first points of the game with 9:42 to go in the first quarter. The catch was the senior’s fourth touchdown catch of the season and DeMorat’s 11th toss for a score. Both teams traded punts for the rest of the first quarter, and interestingly enough, Holy Cross was unable to pin Fordham inside its own 20-yard-line despite having the advantage of the wind. Fordham’s next drive got down to the Holy Cross 38, and the Rams were faced with a fourth-and-one at that spot. The handout went to senior running back Colton Smith, and he was stonewalled inches short of a first down. Smith was pressed into duty after freshman running back Naim Mayfield was unable to travel with the team because of illness. Holy Cross got something going on the next drive, and the Crusaders got inside Fordham territory for the first time of the afternoon. 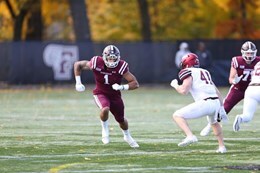 The drive came to a screeching halt, though, when senior quarterback Geoff Wade ran to the left and tried to throw over the middle and was intercepted by Fordham senior Dylan Mabin. 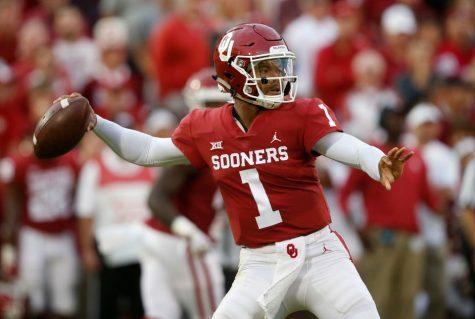 However, Fordham was unable to take advantage, and the ceremonious trading of punts continued until inside of five minutes to play in the first half. With about four-and-a-half minutes to play in the half, Holy Cross punter Cody Wilkinson came on for yet another punt. It was blocked by junior Jesse Bramble, and Fordham received possession at the Holy Cross 43. But again, the Rams’ offense sputtered, and sophomore Andrew Mevis came on to punt after three straight DeMorat incompletions. Holy Cross’ next possession went 13 yards in eight plays and took over three minutes off the clock, leaving the Rams with just 47 seconds to work with from their own 42. 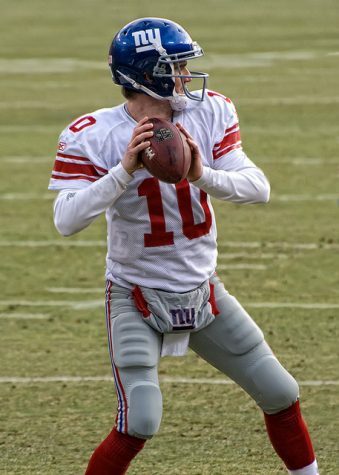 Fordham took seven plays to go 21 yards and called upon Mevis to try to hit a career-long attempt from 54 yards away with the wind whipping behind him. And hit it he did. Mevis’ kick, which might have had enough distance from 65 or even 70 yards out, gave Fordham a 10-0 lead going into the halftime break. Conlin’s decision to play the elements paid off in spades. Fordham’s defense held Holy Cross to just 79 first-half yards. The second thirty minutes, however, would be the Rams’ undoing. After a Holy Cross punt to open the second half, Fordham was stopped at its own 42. Mevis came on to punt into the Worcester wind and attempted a low, end-over-end boot to knife through the gusts. Instead, the Crusaders blocked his kick and took over possession 21 yards away from Fordham’s end zone. 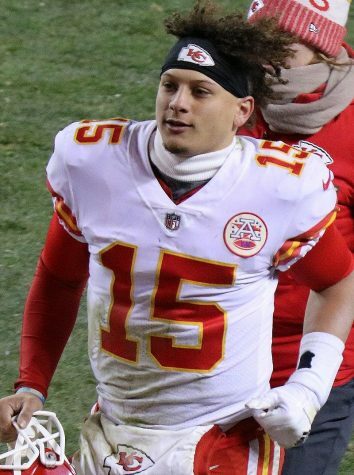 Two plays later, Wade hit an unguarded Derek Mountain on an exquisite throw-back play to the left after a rollout to the right to bring Bob Chesney’s team within three points. 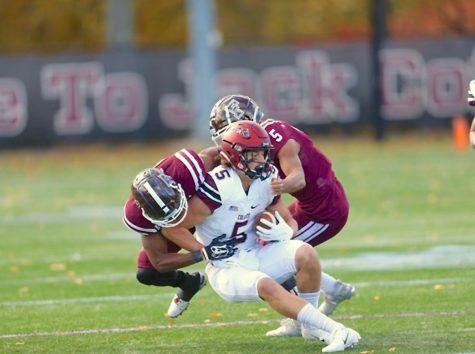 On Fordham’s next drive, junior running back Tyriek Hopkins was dispossessed by Holy Cross defensive lineman Jake McArdell in his own territory, and the Crusaders took possession at the Fordham 41 after standout linebacker Ryan Brady recovered the loose change. Senior receiver Jonathan Lumley had a chance to recover the fumble but continued to block downfield anticipating that Hopkins would still be running. To the Fordham defense’s credit, it held the Crusaders to a three-and-out and a punt, but the offense continued to struggle. With about three minutes left in the third quarter, wide receiver and former quarterback Blaise Bell passed the ball on a trick play to fellow wideout Martin Dorsey. The trickery worked, and Dorsey hauled in the pass at Fordham’s eight-yard-line. Three plays later, Wade went back to Dorsey to give the Crusaders a 14-10 lead with 2:15 left in the third quarter. The teams continued to trade stops into the fourth quarter, and things would remain this way until the final 10 minutes of the game. On a third-down play from Holy Cross’ 43, senior receiver Austin Longi dropped a lateral from DeMorat. Brady got his second fumble recovery of the day at the 47-yard line. On the next drive, Wade was stripped on the run by sophomore linebacker Jeremy Imperati. Freshman Ryan Greenhagen tried to pick up the ball and run with it instead of falling on it. 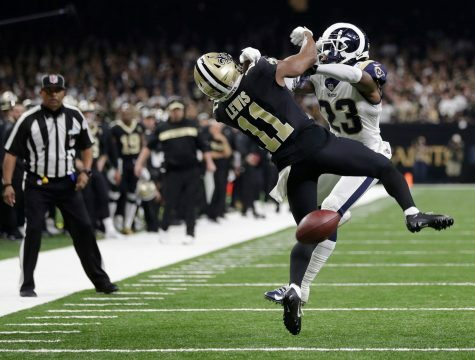 The ball eventually rolled out of bounds, and the Rams missed their opportunity at a stop. Running back Miles Alexander went for a four-yard run on the next play, and kicker Derek Ng drilled a 37-yarder into the teeth of the wind.With 7:37 to play, Holy Cross led 17-10. Fordham held possession for the next 5:15 and got all the way down to the Holy Cross nine-yard line. However, DeMorat was sacked and threw incompletions on the next two plays. Mevis cashed in from 35 with 2:15 to bring the Rams within four. And that is where things started to get really weird. Holy Cross was faced with a third down and three yards to get from their own 30 after a Fordham pseudo-onside kick attempt failed. Wade found Mountain for two yards, but Mountain was inches short of the first down, and Fordham senior Larry Menyah forced him out with 1:53 to go. Holy Cross eventually punted, and the Rams got it on their own 41 with 107 seconds to play. Fordham had a fourth-and-five with about a minute left. DeMorat looked for Searight, and the senior made an insane catch over the back of the defender to move the chains. Fordham continued to push towards the red zone and got there when DeMorat hit senior wideout Corey Candle near the sidelines with 35 seconds left. Candle was stopped with forward progress in bounds but the clock stopped for the chains to move. A clock issue pushed the time down to 23 seconds left. The referees announced that the clock would start on their signal, meaning that Fordham would have to get up to the line and quickly run a play. Then, DeMorat inexplicably used 15 of the 23 seconds remaining to figure out what to do. Fordham’s offense did nothing for this time until snapping it with eight or nine seconds to play. A holding call pushed the Rams back to the 29, and a Hail Mary attempt fell to the ground to give Holy Cross it’s fourth win of the year and send Fordham to 1-9. While the referees probably erred in their handling of the situation, there is no excuse for what Fordham’s offense did (or didn’t do) at the very end of the game. Fordham outplayed Holy Cross on Saturday. The Rams outgunned them 295-221 and looked like the better team for large chunks of the game. Fordham has one more game left in this God-forsaken season; it will be against Bucknell on Saturday. The lights are about to go out on this season, and it can’t be saved.